If you are seeing SAT questions when you want to practice for the ACT (or vice versa), it sounds like you’re looking at the wrong section of your Testive account. If you wish to begin studying for a different test, you can click the Test Type button in the upper right-hand corner of the Student Account. 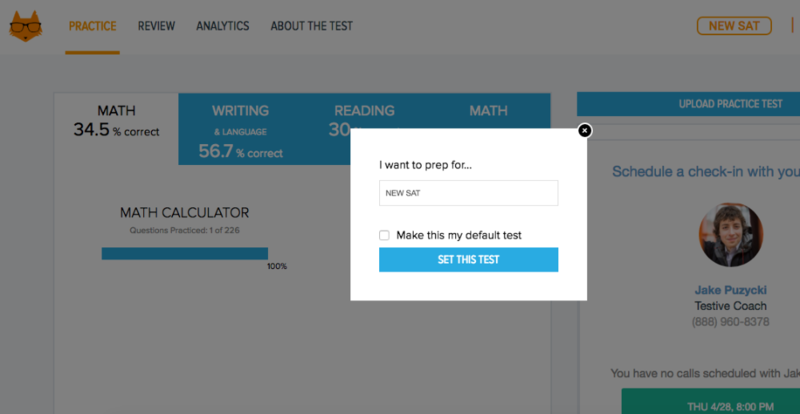 Once you click, a pop-up will appear, allowing you to switch from New SAT or ACT.